For the area, see Switzerland (area). Switzerland is a medium-sized country in the Holy Roman Empire, beginning with 5 provinces. This makes it the fourth largest independent nation in the HRE. Austria, Bohemia, and Savoy are the largest respectively. In 1444, Switzerland has cores on Savoy's provinces Vaud and Wallis. It is one of the few administrative republics in the 1444 start date. Our soldiers seek fortunes abroad and that has led to our troops getting reputation of being the most disciplined, loyal and powerful troops who employ revolutionary battle tactics. Many wishes to hire our troops, even the Pope who wishes to enter a pact with us. He asks that we provide [From.GetName] with a constant corps of Swiss mercenaries. This will surely increase our prestige and give us other favors. Send the guards to the Pope. No, we need them more. Switzerland has cores on Savoy and the Player should focus to get them as fast as possible. If it is not possible on the beginning, due to Savoy's allies, the best choice is to fabricate a claim on Baden and declare war on them. It is good to ally with Milan and OPM countries in HRE like Ulm or Alsace. Also The Palatinate is a good opening move to easily take Baden. After that, the Player should focus to get alliance with France to not get invaded by Austria. Now Switzerland can focus on others OPM countries to get more land. Later The Player can declare war on bigger countries like Bavaria or Bohemia. If the player is going for the Switzerlake achievement it is not recommended to fight with any Italian countries other than Savoy, only to reconquer Swiss cores. Then, Switzerland should slowly conquer other HRE nations. Also, a good way to become the strongest nation in the HRE, and later in Europe, is to stay as a republic, because switching between the different candidates that focus on military, diplomatic or administrative Monarch Power will mean you can always focus whatever type of Monarch Power you need at the current moment. 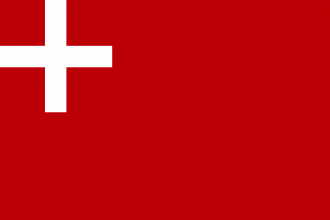 Switzerland should convert to Protestant, due to small morale and discipline bonuses. Also, later the player can fight in religious leagues to become the Protestant HRE Emperor if the nation has flipped from a republic to a monarchy. It will help with conquering more land in HRE without getting demanded unlawful territory. For the first idea group it is recommended to take plutocratic idea group. It will help with winning wars, due to 10% morale boost and with managing the country unrest. Also, will provide small boost to income needed to develope the country. Influence are good for the second idea group. The Switzerland is bordering many OPM countries and it is easy to vassalize them. After that, the player can take ideas depending on their situation. This page was last edited on 11 March 2019, at 09:25.